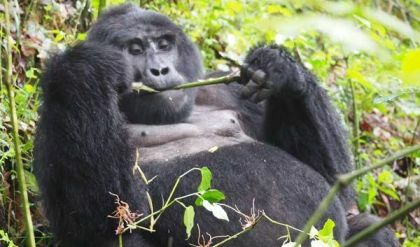 This is an incredible Gorilla trekking tour both in Uganda and Rwanda. Gorilla trekking aside, the itinerary also entails Chimpanzee Tracking and other primates, A big four wildlife safari, Birding, Boat cruises, various Cultures, beautiful landscapes and several wildlife the two countries have to offer. This 10 day Uganda Rwanda safari will give you some of the best attractions in East Africa. 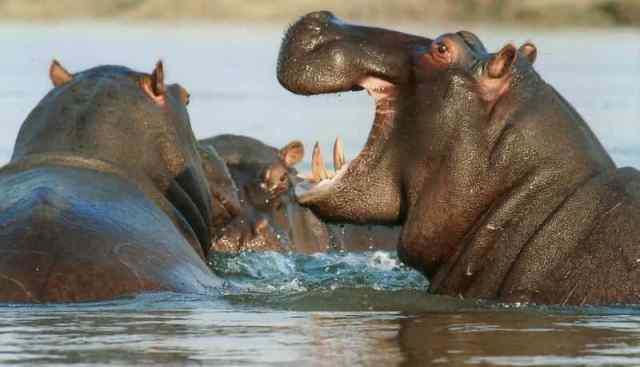 The tour will take you to 3 National parks in Uganda and 1 in Rwanda. 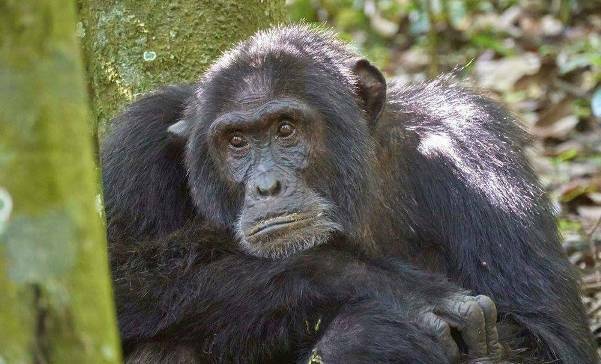 In Uganda, Kibale forest for Chimpanzee trekking and other primate tracking and Birding in Bigodi swamp, Queen Elizabeth for Big four(lions, elephants, Leopard, buffalo), boat cruise on Kazinga channel and game drives and Bwindi impenetrable for mountain gorilla trekking and birding. In Rwanda, You will have the second Gorilla trekking in Volcanoes national park, Cultural tour and a visit to the Genocide memorial. Our driver guide will pick you from your hotel/lodge in Kampala/ Entebbe or your place of residence to start a five hour journey to west of Uganda passing through big towns of Mityana and Mubende before reaching Fort portal. This town is known as the cleanest town in Uganda and it is ever green. Surrounded by big tea plantations and estates presents a good photographic opportunities. We continue to check in at our lodge before having hot lunch. A relaxing afternoon and evening though we have room for many optional activities. After breakfast you report at the Kanyanchu Visitor Center at 07.45am for group allocation and briefing on the Do's and Don'ts of Chimpanzee tracking. Kibale Forest National Park has a variety of primates. 13 species have been recorded, including; L'Hoest's monkey, the black and white colobus, red tailed monkey, coppery tailed monkey, Uganda mangabey, among others. 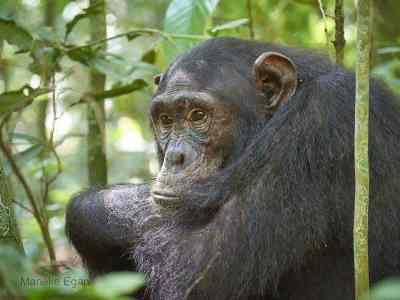 Chimpanzee trekking is the main focus here. The trek takes an average of 4 hours, and on this trek, other Primates and some rare Bird species (325) plus butterflies can be seen. After spending an hour with our closes cousins, you will return to the lodge for hot lunch. In the afternoon, we visit Bigodi Wetland sanctuary for a community Nature walk where you are to see many birds and 4-5 monkey species. Early in the morning, we depart for Queen Elizabeth national park, driving through big banana plantations, maize, cotton and sunflowers on season, this is so, because of the volcanic soils which are eroded from mountain Ruwenzori’s and also the land is generally flat enabling mechanization. We drive on the foothills of mountain Rwenzori and through the copper mining town of kasese. On arrival in Queen Elizabeth national park, we checkin and have Lunch at the lodge. In the Evening, we do an evening game drive through Queen elizabeth national park. 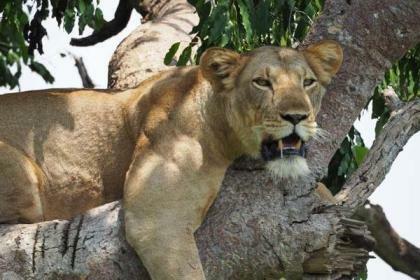 We drive off for an early morning game drive with parked breakfast, aiming for the big cats which are more active in the morning such as; Lions, Leopards, Hyenas, Elephants, Buffalos, Antelopes and different bird species through Kasenyi. 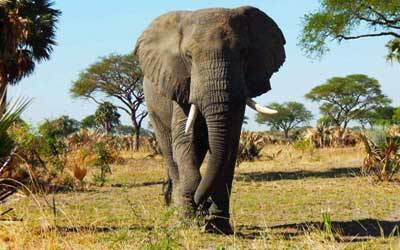 Kasenyi tracks in Queen Elizabeth presents the best region for game viewing because of the open grounds which attracts big game. After the game drive, we head back to the lodge for lunch. After lunch we head for a boat cruise on Kazinga channel which is wonder of its own, you cant imagine how close you get to giant animals like Buffalos and Elephants which come to banks for water, giant forest hogs, Hippopotamus, Nile crocodiles and many bird species like great white Pelicans, African spoonbills, Great cormorants, African fish eagles among others. After sunrise experience and breakfast, we drive to the southern part of Queen Elizabeth national park (ISHASHA). It’s the most remote part and less visited though very rich game. This is the home of the Tree climbing lions. Other gaming potentials include the rare Leopard, Hyenas, Giant forest hogs, Topi, big herds of Uganda Kob. We then drive through maramagambo forest which presents opportunities of seeing some primates such as Baboons, Red tailed colobus, Black and White colobus, L’hoest’s monkey, among others. We then spend a night in or near the park. We set out for morning game driving to catch some moments that might have transpired in the dark by visiting the mating grounds, cats hunting and hyenas going back to their dens to sleep. We return to the lodge for breakfast before transferring to Bwindi impenetrable forest national park for Mountain Gorilla trekking. Bwindi is the home of mountain gorillas harboring half of the worlds population, a thick old rainforest, surrounded by magical terraces all hand made by the people leaving in the communities around the park. Elevation increase from low savanna to mountain. The 7th day of our Uganda Rwanda tour is the day for Gorilla trekking. In the morning, after breakfast, we assemble at the visitor centre for briefing and grouping our selves before being guided in the forest by the park ranger guide and armed escorts. Trekking can be physical but interesting, and the different vegetation in the forest and atmosphere is very rewarding, It might be long or short depending on their location, but seeing the peaceful giants brings joy and excitement in your heart. We then spend an hour with the Gentle giants and enjoy the breath taking hour before returning back to the lodge. We checkout and then start on the journey south to Rwanda. The drive to the south in very interesting because of the beautiful panoramic views along the way. We can see women attending to their farms either on steep slopes or down in the valleys, men cutting timber with bow saws, beautiful sceneries of lakes with several islands, volcanic mountains boarding Uganda, Rwanda and DRC. We arrive at the lodge in Rwanda and then have Lunch and a relax in the afternoon. In the evening, we have an option of visiting the local community or the cultural village. Gorilla tracking in volcanoes national park. We drive to the park headquarters for briefing and gorilla group a location, here you enjoy tea or coffee as your guide works with registration and group. A traditional performance entertainment is good to jump start your second gorilla adventure. We then drive to the trekking starting point. Trekking here is however said to be easier than the first one. A traditional performance entertainment is good to jump start your Golden monkey adventure. We then drive to the trekking starting point. Trekking here is however said to be easier than the first one. 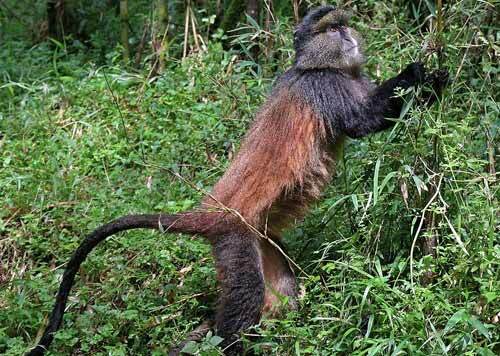 Instead of Mountain Gorillas, this time around you will go for Golden monkey trekking. Upon finding these playful monkeys, you will spend 1 hour with them before trekking out of the forest. We Say bye to the Volcanoes national park. After breakfast, we drive off to Kigali the capital city of Rwanda, another scenic journey of a thousand hills, a brief city tour to the genocide museum, craft markets, Presidential palace museum, we then have lunch before the airport for your flight back home. The accommodation depends on your Budget. Here is a list of Lodges around the Tourist site. Just like Mountain Climbing, gorilla trekking also requires these items when tracking the gorillas. Water: Gorilla and Chimpanzee trekking can be very tiresome and you need to refill your tank as the trek goes on. It is advisable to park a few water filtration tablets before you come for the trek. Boots: You will need good waterproof comfortable shoes. Some times it rains during the trek, so skid proof shoes can come in handy. Trouser and Shirts Bwindi forest is covered with thick undergrowth, therefore light trousers and long sleeved shirts are advised. Socks: You will have to tuck in the trousers into the socks to avoid insects crawling inside. Gloves: You will need Gardening gloves because you will be grabbing tree branches, leaves, name it, and some can be thorny. An exclusive Gorilla, chimpanzee, queen elizabeth national park, lake bunyonyi and lake mburo national park Safari in Uganda. This 5 day Gorilla and Chimpanzee tracking tour brings you an encounter with Gorillas and our close cousins the Chimps in the forests of Bwindi and Kibale. Hi I was wondering if I could get quotes in November for one person for Uganda/Rwanda gorilla trekking? 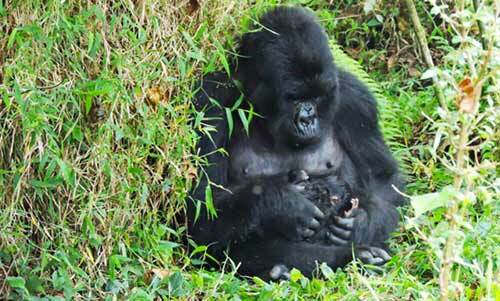 Start planning for your Rwanda and Uganda Gorilla trekking tour or Wildlife Adventure Today!